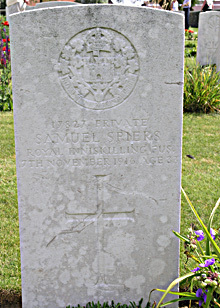 Samuel Spiers was a son of Robert and Ellen Spiers of Gortalowry, Cookstown. Prior to the war he lived in Church Street and was employed in Greenvale Mill (Adair’s) He was a member of Tullyhogue L.O.L. 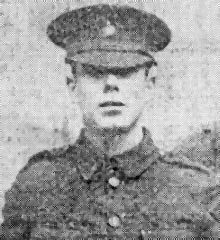 He married circa 1912 Samuel Spiers was killed action on 7th November 1916 by a trench mortar and was the only fatal casualty. Two others were wounded in the same incident.